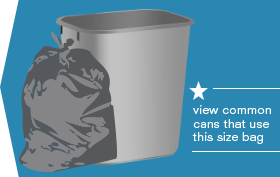 Getting the correct fit for smaller garbage cans can sometimes be difficult, but it’s just as important as fitting larger cans. A badly-fitting bag can create a big mess even in a small waste basket, while the right sized bag makes taking out the trash a breeze. 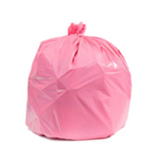 Our wide selection of 7 to 10 gallon trash bags has been carefully chosen to fit perfectly in the usual small and midsized garbage cans you’ll find under a desk or in the bathroom. 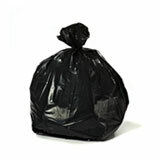 Our 7-10 Gallon Bag collection offers many bags that usually work well in the cans below. 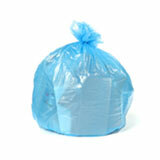 We’ve taken all the fuss out of choosing the best small garbage bag for your can. 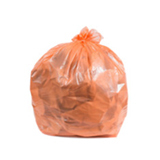 These small trash bags come in a variety of colors, sizes, and weights so that you can choose the best bag for the job every time. 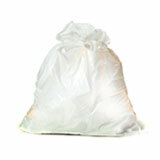 Whether you’re looking for clear, black or white trash bags, you’ll always find what you need right here. Small can liners like this are often made from high density plastic, to make them as lightweight and flexible as possible while remaining strong and resilient. 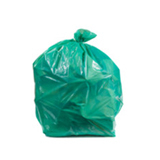 High density garbage bags use less plastic in the manufacturing process, so they are less expensive to produce and less expensive to ship, and we pass those savings right onto you. 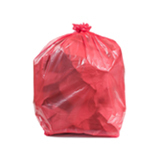 Our wholesale garbage bags are an exceptional way for businesses and homeowners alike to cut back on running costs without compromise. 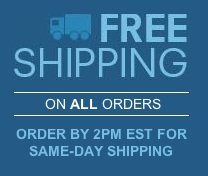 If you’re in the market for bulk waste basket liners, you can count on us to give you the highest quality products and the best customer service on the market. 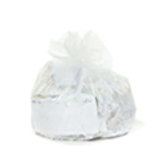 We make it easy for you to buy big quantities of small trash bags with total confidence! Plastic Place makes a point of absolutely guaranteeing your satisfaction, so you know you’ll always be happy with your order. 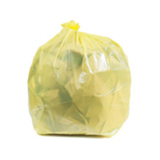 We offer cases of up to 1000 bags, so you’ll enjoy great savings and never need to worry about running out of small garbage bags for your home or office.